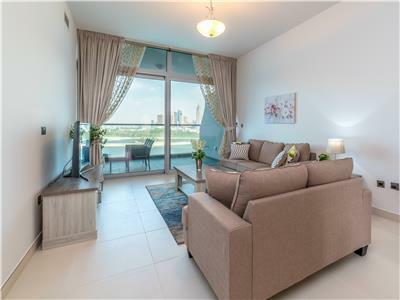 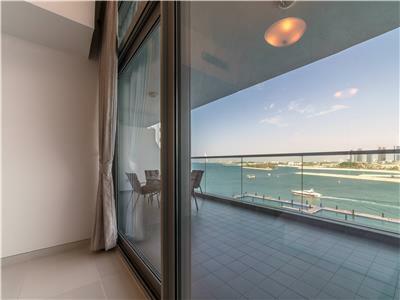 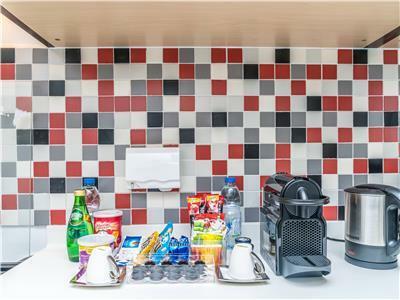 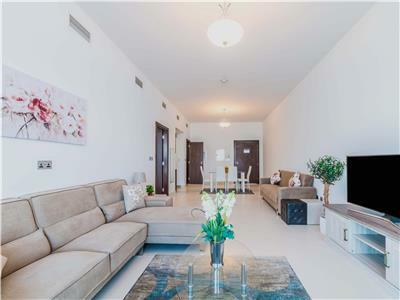 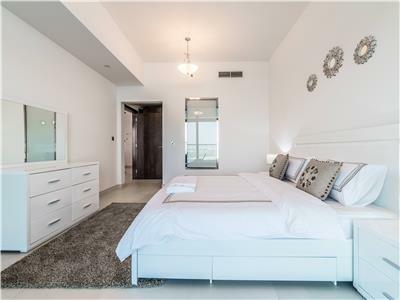 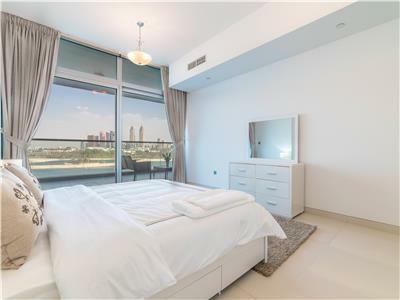 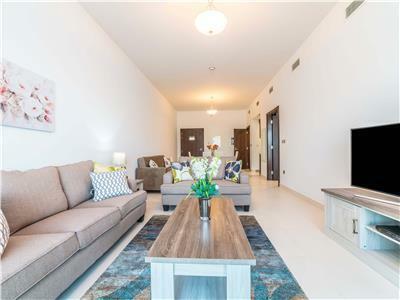 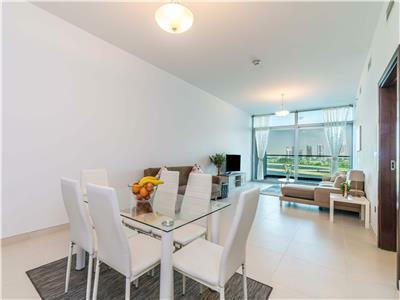 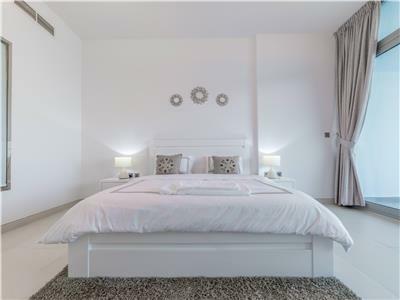 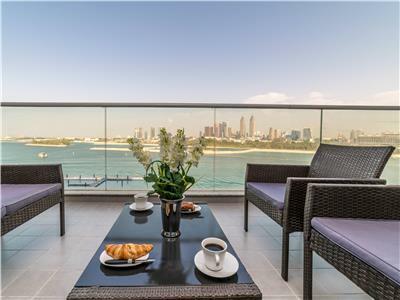 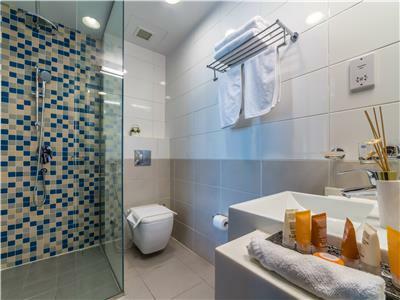 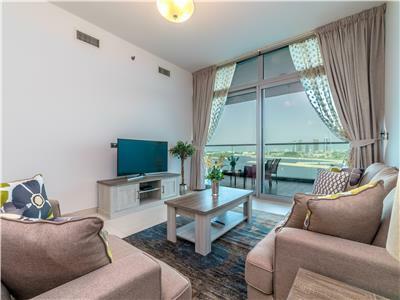 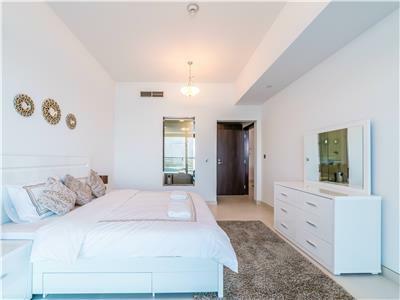 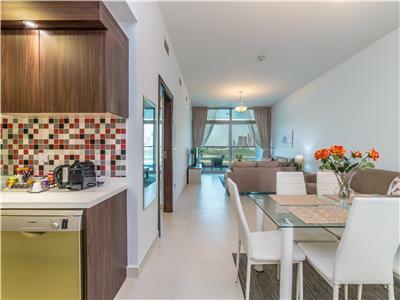 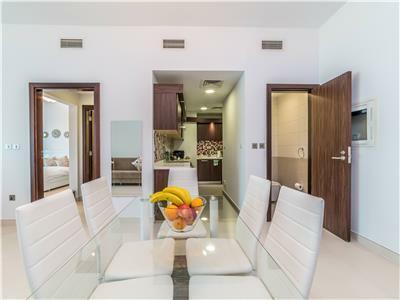 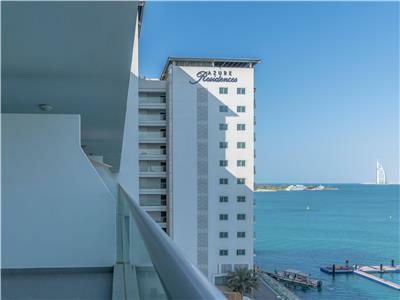 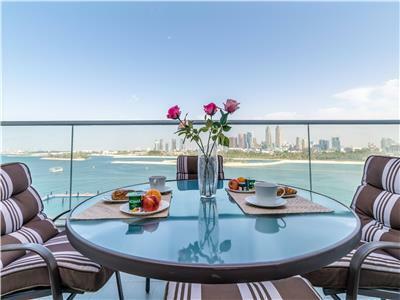 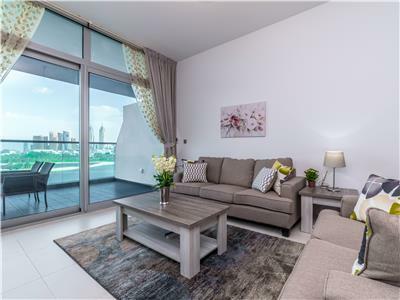 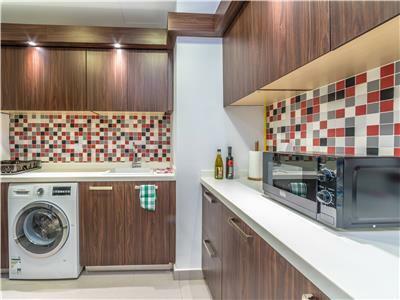 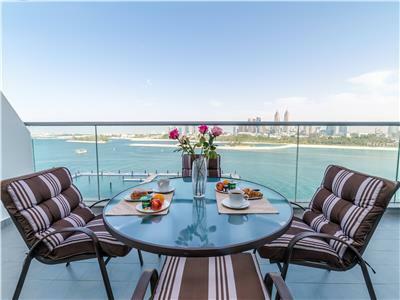 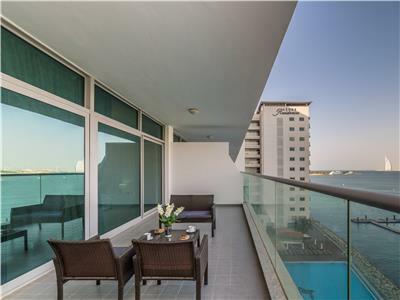 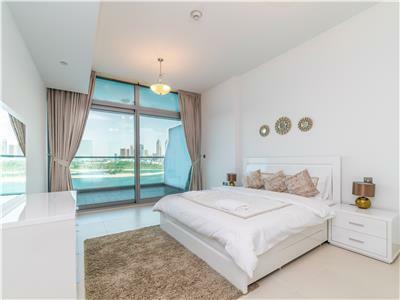 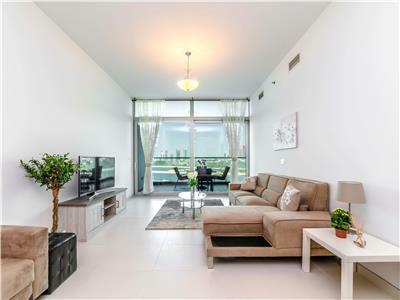 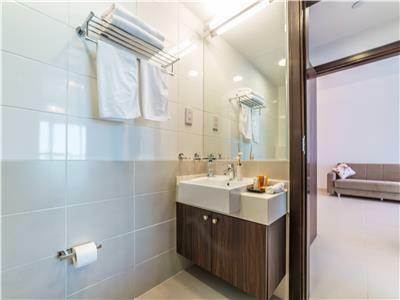 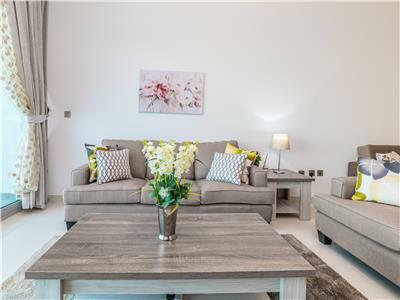 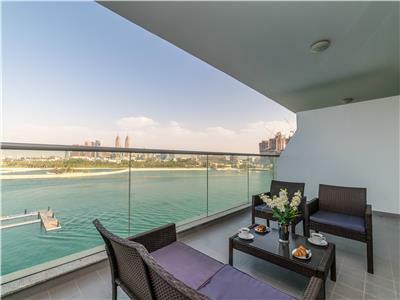 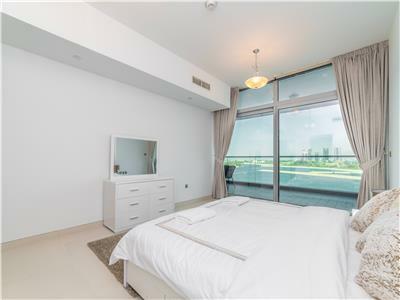 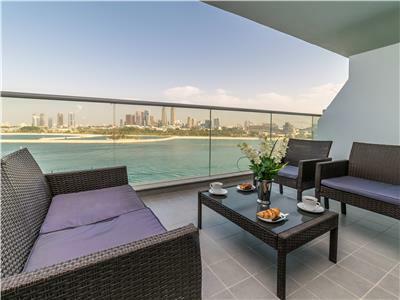 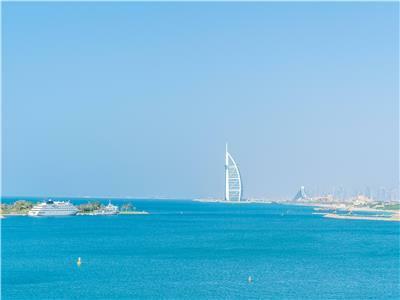 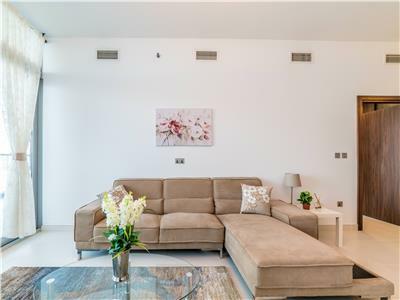 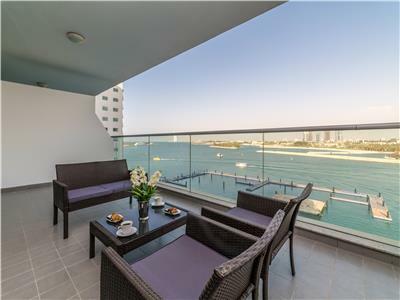 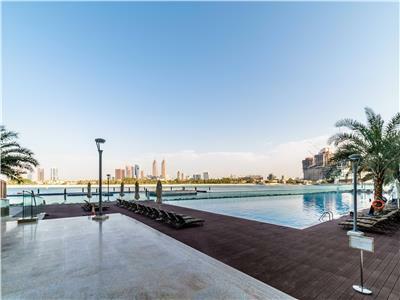 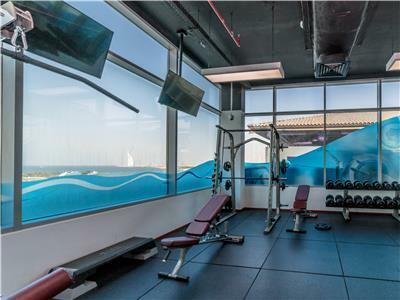 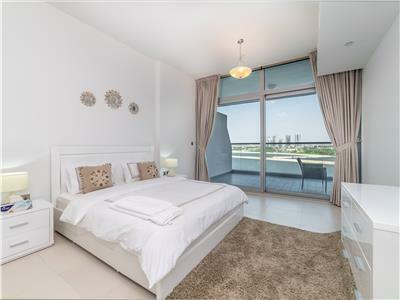 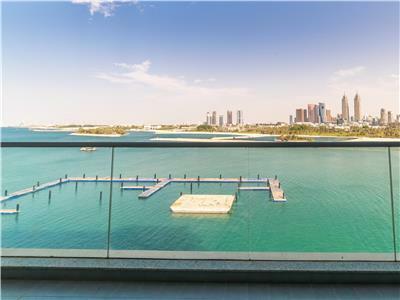 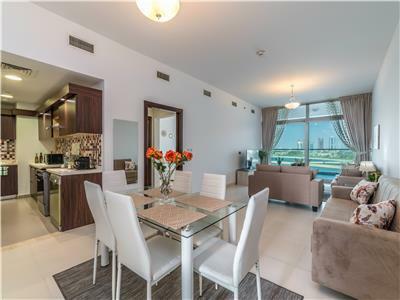 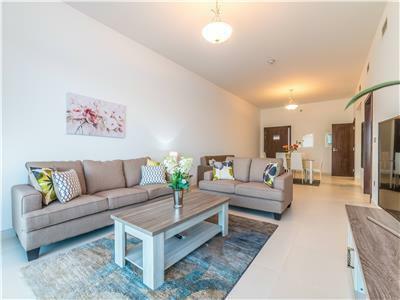 The apartment has a very large terrace overlooking the calm waters surrounding Palm Jumeirah with a direct view of Burj Al Arab and a nice view of the skyline of downtown Dubai on a clear day. 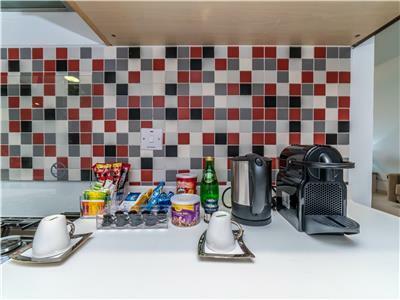 The building has two restaurants, one Italian and one Asians and a full service grocery store which is open until 12 midnight. 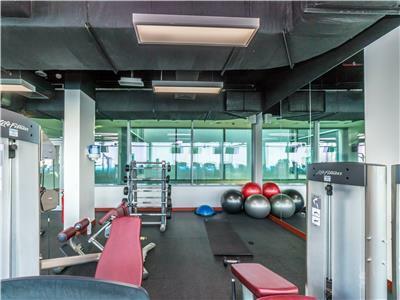 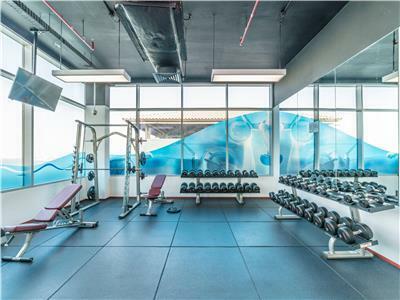 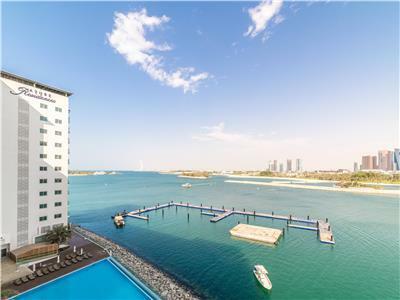 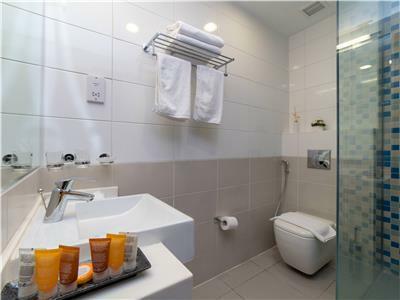 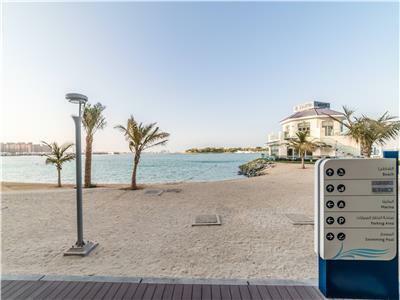 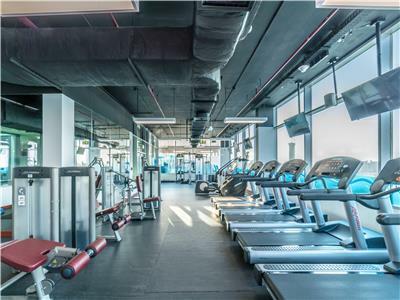 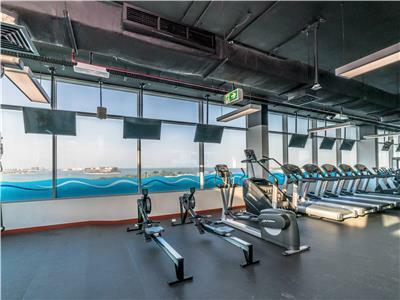 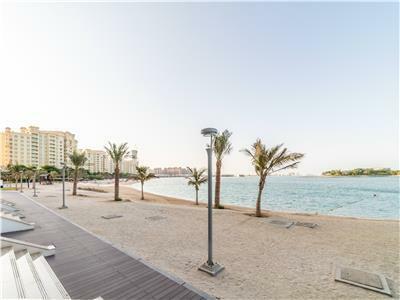 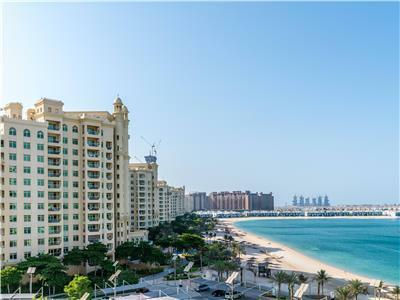 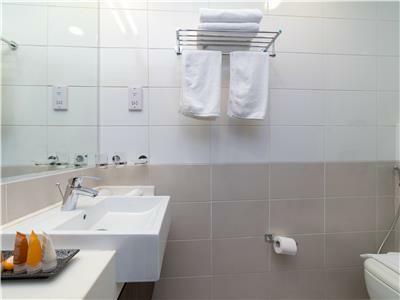 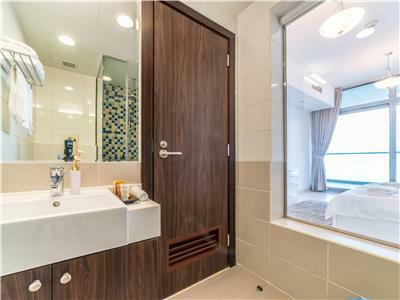 Not a far walk, residents can enjoy the golden mile strip mall making this location ideal for a nice get away on one of the best known landmarks of Dubai, The Palm Jumeirah.